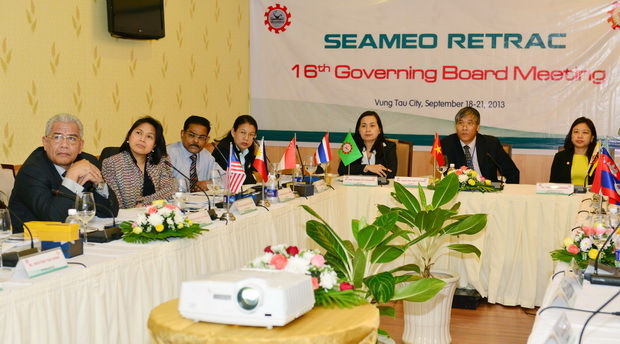 The 16th SEAMEO RETRAC Governing Board Meeting was convened from September 19-20, 2013 at Seaside Resort, Vung Tau City, Vietnam. 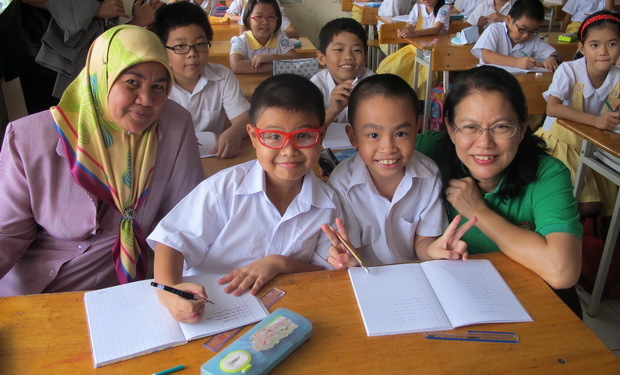 The Meeting was held back to back with the Educational Forum, namely “Innovation in Teaching and Learning at Basic Education: Best Practices from Southeast Asia”. 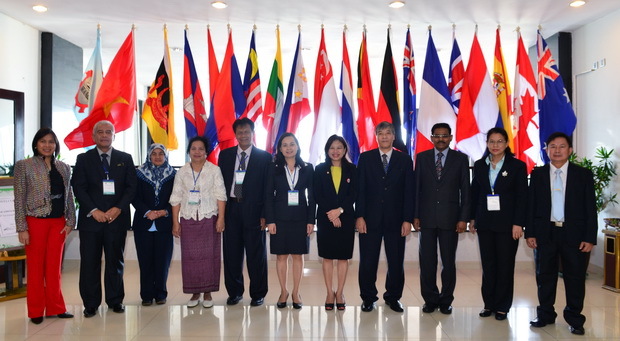 Attending the Meeting were Dr. Tinsiri Siribodhi, Deputy Director, SEAMEO Secretariat, Governing Board Members and representatives coming from nine Southeast Asian countries and observers. The Meeting noted the absence of the Governing Board Member from Myanmar. In her opening remarks, Dr. Tinsiri Siribodhi congratulated on the Center’s achievements for the past FY 2012-2013, and encouraged its continued strong linkages with institutions and organizations galore within and outside the region. 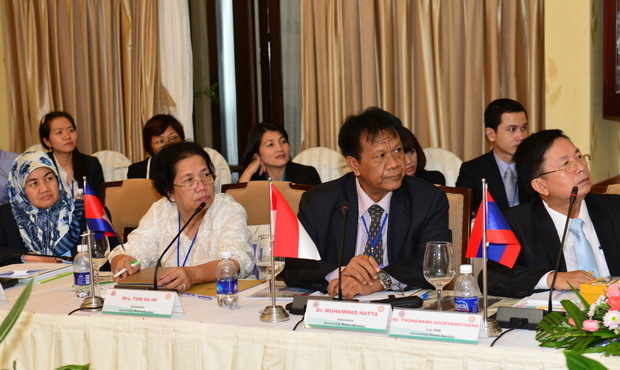 At the Meeting, Mr. Truong Bao Duy, Manager of SEAMEO RETRAC International Development Department, presented a brief report on the main issues raised and approved at the Center Directors Meeting held in Bangkok, Thailand on July 01-03, 2013. Also, the Board approved the Center’s annual report for FY 2012-2013 and the action plan for FY 2013-2014 which were presented by Dr. Ho Thanh My Phuong, SEAMEO RETRAC Director, and the financial report for FY 2012–2013 and the three-year budget plan for FY 2013-2014, FY 2014-2015 and FY 2015-2016 by Mr. Nguyen Tan Hung, Head of Bursar. The Board Members unanimously approved the Center’s annual report and financial report. The Meeting ended with the endorsement of the proceedings. 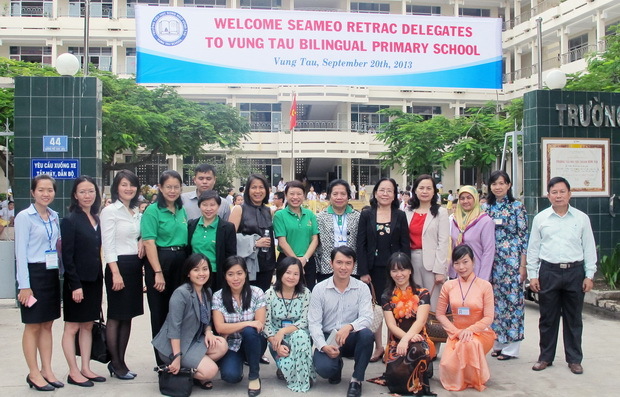 This year’s Meeting also included the visit to Vung Tau Bilingual Primary School on the afternoon of September 20. This was a great chance for the Governing Board Members, representatives and observers to understand more about the educational model which has been successfully applied in Vung Tau for the past few years.